Relax and breathe in the salty ocean air just one block from the Beach and Boardwalk, and a short walk to Rudee Inlet and Grommet’s Park in this lovely 2 bedroom 1 bathroom unit! Turtle Reef is spacious and conveniently located! It is in the beautiful North End of Virginia Beach. This unit is located just 0.2 miles from the beach. This gorgeous, fully renovated two bedroom one bathroom unit just one block from the exciting boardwalk and beautiful waves is sure to refresh, relax, and make memories that will last! This charming retreat is located just five houses from beautiful Virginia Beach oceanfront with the wide beaches residential areas offer! This charming three bedroom bungalow just 5 houses from the ocean will provide your family with many cherished memories for years to come! Make your new favorite memories just steps from the beach in this charming North Beach two bedroom condo that sleeps six! This family treasure has been renovated in 2018. Enjoys the large screened in porch with the family all eating together for dinner. Enjoy summer evenings grilling out on the patio and breathtaking sunrises over the ocean in this two bedroom two bathroom dream just across the street from the beach and with access to the pool! Cute, compact, and recently renovated, Sun Down Cabana is just three houses from beach access! 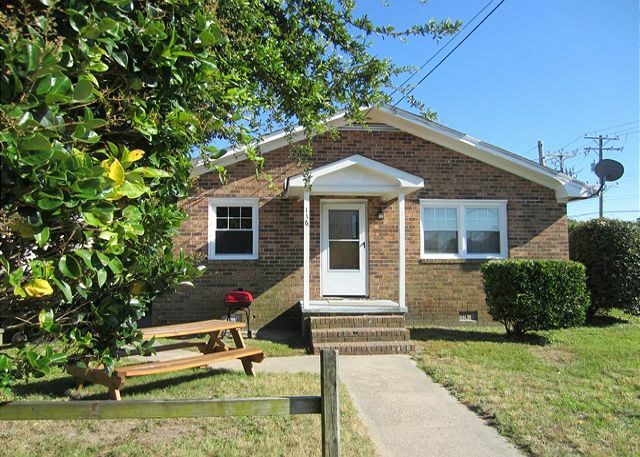 Coastal Comfort is a charming and updated getaway located in the beautiful North End of Virginia Beach with pool access, and just across the street from the beach!